Russia’s Radio-Electronic Technologies Concern (KRET) has confirmed that its engineers are using unexploded Tomahawk cruise missiles from April’s failed US airstrikes on Syria to help develop new electronic warfare systems. Sputnik looks back at some of the other weapons Russia captured and reverse engineered from US overseas wars over the years. Not counting the Second World War, when the United States transferred thousands of pieces of military equipment to its Soviet ally in the joint struggle against Nazi Germany, the Soviet collection of US military trophies can be said to have truly begun during the Korean War of 1950-1953, in which the US and its allies faced off against North Korea, China, and a small contingent of Soviet fighter pilots. In Korea, the Soviets gained access to the M46 Patton, a medium tank platform introduced into the US Army in 1949. 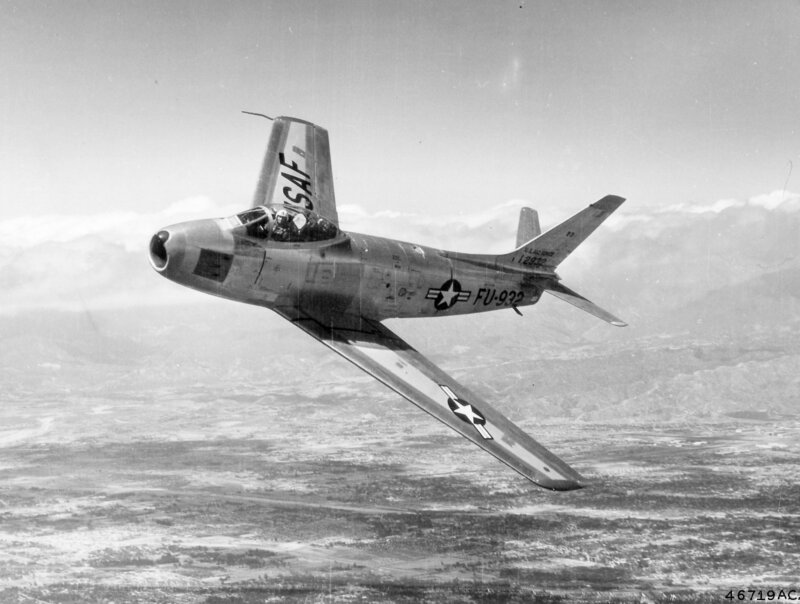 Engineers got their hands on several other weapons systems, too, including a late-model F-51D Mustang fighter. In September 1958, a few years before the Sino-Soviet split, a Chinese Air Force MiG-17 paralyzed a Taiwanese Air Force F-86 Sabre jet fighter, quickly handing it over to Moscow. The captured Sabre helped Soviet designers immensely in the development of the K-13 short-range infrared homing air-to-air missile, which would go on to serve for several decades. The insights into US weapons systems gained during the Korean War proved almost trivial compared to what happened in Vietnam. After the unexpected withdrawal of US forces in 1975, the People’s Army of Vietnam captured some 550 US tanks, 1,200 armored personnel carriers, 1,100 airplanes, 500 helicopters and 80 ships. Naturally, some of these weapons found their way into the hands of Vietnam’s Eastern Bloc allies. Among the most valuable trophies was the Northrop F-5E, produced between 1959 and 1987 and still in use in the naval and air forces of over a dozen countries. After being delivered to the Soviet Union, the F-5E was used extensively in evaluation flights against the MiG-21bis and the MiG-23, discovering their shortcomings and ultimately aiding in the development of the MiG-23MLD and the supermaneuverable MiG-29 fighter. A Northrop F-5 fighter, this one operated by the Iranian Air Force. In addition to the F-5E, the Vietnamese gave their Soviet allies a A-37 Dragonfly light ground attack aircraft, a CH-47A Chinook heavy-lift transport helicopter, and a UH-1 Iroquois utility chopper. From the mid-70s onward, these systems saw demonstrations and testing at the Chkalovskiy airbase outside Moscow, and at the Akhtuba training ground of the Air Force Research Institute in Astrakhan. Engineers were able to get an insight into the platforms’ design, control instruments and radio equipment, engines, and more, with the captured equipment providing invaluable intelligence on the prospective adversary’s capabilities, and offering alternative design solutions for Soviet equpment. 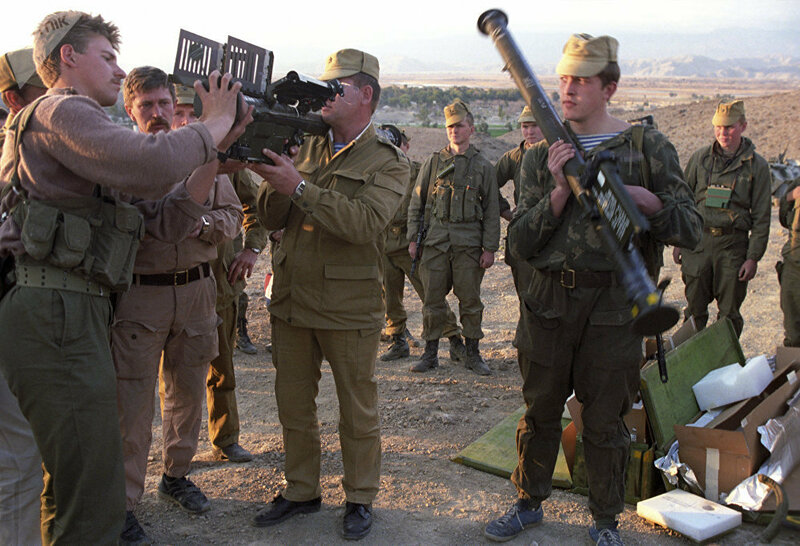 In the mid-1980s, the Pentagon decided to send its virtually brand new Stinger Man-Portable Air-Defense System (MANPADS) to Mujahedeen militants in Afghanistan. The CIA funneled at least 500 of the infrared homing missiles to the country, along with 250 launchers. The deliveries, and heavy initial losses of Soviet aircraft, prompted the GRU (Soviet military intelligence) to deploy special units to seek out the systems and bring them back to the USSR for analysis. After capturing several Stingers, Soviet engineers developed the means to combat them, with countermeasures proving so effective that by the end of the war, the aircraft loss rate was reduced to where it had been before the Stingers were introduced. In the post-Soviet period, Russia continued to amass US military equipment, albeit on a smaller scale. In 2008, Georgian President Mikheil Saakashvili launched a military operation against the breakaway region of South Ossetia, causing the deaths of Russian peacekeepers and prompting a Russian military response. During the war, the Russian military captured five Humvees packed with advanced electronics and encrypted communications equipment and refused to give them back despite repeated requests by the Pentagon. Last but certainly not least are the Tomahawk missiles captured after the US, British and French strikes on Syria on April 14. Finding two unexploded Tomahawks (thought to be of the latest Block IV generation), the Syrian military immediately handed them over to Russia. Speaking to Sputnik on Tuesday, Vladimir Mikheev, an advisor to the first deputy general director of KRET, confirmed that the captured missiles will be used to boost the capabilities of Russian electronic warfare systems. “Having this missile in hand, we can clearly understand what channels of communication, information and control, navigation and range finding it has…Knowing these parameters, we will be able to more effectively counter these cruise missiles at all stages of their combat deployment,” Mikheev said. Military expert Alexei Leonkov told Sputnik that the captured Tomahawks will improve Russia’s early warning capabilities, too. “The electronics of the current version of the Tomahawk [include] the latest-generation TERCOM [navigation] system, as well as a system of target search and detection. An analysis of these systems will complement the picture, and help expand the capabilities of our early warning systems when detecting missiles of this type,” he said.For his part, retired colonel Mikhail Khodarenok called the Syrian Tomahawks “a textbook on materials science, a textbook on technologies falling from the skies,” and noted that Russian specialists will be very interested to see the arrangement of its engine, the working of its navigation systems, and more. “This is a real gift for those structures of the Russian defense industry engaged in organizing jamming; it will become clear how to disable the Tomahawk’s communication system during combat operations,” he said. And although Tomahawk manufacturer Raytheon will be sure to take the Russian side’s awareness of its missiles’ flaws into account for future upgrades, it will take years if not decades to replace the thousands of missiles already deployed.